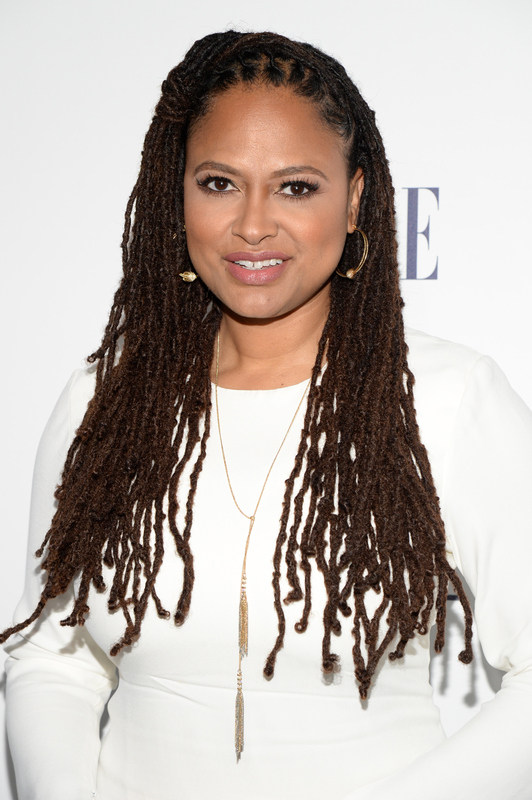 Ava DuVernay has never been one to back down from a fight, especially one worth having. The Selma director always makes sure that her voice is heard when she sees that it's one missing from the larger conversation at hand. And the voice of an African American Star Wars fan was definitely missing from the latest chatter surrounding the film. After the new trailer for Star Wars: The Force Awakens premiered Monday night, DuVernay decided to take on the racist backlash from fans who started tweeting the hashtag #BoycottStarWarsVII with a hashtag of her very own. And while DuVernay's hashtag #CelebrateStarWarsVII may seem simple, it stands for so much more. After some trolls started calling for a boycott of The Force Awakens because they felt it was anti-white, their hashtag started trending on Twitter. But as Twitter user @Tor_H pointed out, the trend really started after so many Star Wars fans started pointing out how wrong the hashtag was, and how much they disagreed with it. DuVernay took matters into her own hands to shut down the trending hashtag, showing that the problem wasn't with the conversation, but with the people driving it. After all, seeing #BoycottStarWarsVII trending on Twitter may convince people that this is a widely agree-upon opinion, when in actuality, true fans are upset at the idea that anyone would not see the film because a black actor is starring in it. Even more ridiculous is the fact that Star Wars most famous character — and arguably the most iconic movie villain of all time — was voiced by James Earl Jones, who, yes, is black. Though Darth Vader was physically played by David Prowse, an English bodybuilder, so perhaps that evened things out for some of these particular fans? Who knows. Worse may be that, when watching the trailer, you notice that there is no shortage of white people in the film. And when looking at the cast list, you'll count at least 16 white actors and actresses. So there's definitely no takeover going on. The biggest difference now is just that the galaxy far, far away looks much more like Earth does: filled with diverse faces that are all doing their part to make this world a better place. John Boyega, who is British-born of Nigerian parents, may star in the film, but so does English actress Daisy Ridley, Guatemalan-American actor Oscar Isaac, and white Californian Adam Driver. Not to mention that baddie Captain Phasma is played by Game of Thrones actress Gwendoline Christie, which is sure to ruffle some fanboys' feathers when they realize there are women on the dark side. Yes, women. There's even some love for older actors like Harrison Ford and Carrie Fisher. If anything, you could say that the Wookie contingent is really the most underrepresented, with only Chewbacca getting some face time in the trailer. A travesty, really. DuVernay's hashtag did what she wanted it to. It brought balance to the force by allowing nonwhite Star Wars fans who felt like they were part of this world for the first time to have a voice. A movie this epic having a diverse cast is not "affirmative action," like some boycotters want to claim; it's just about time. The world has changed since the original Star Wars debuted in 1977. This film — directed by J.J. Abrams, who made a point to cast diverse actors and actresses — represents that, and many are happy it finally did, tweeting their approval of having people of color and women represented throughout the galaxy. But the best part may be all those tweets featuring photos of young black boys holding a John Boyega action figure or dressed as a Jedi. These are the real reasons we should celebrate Star Wars: The Force Awakens.